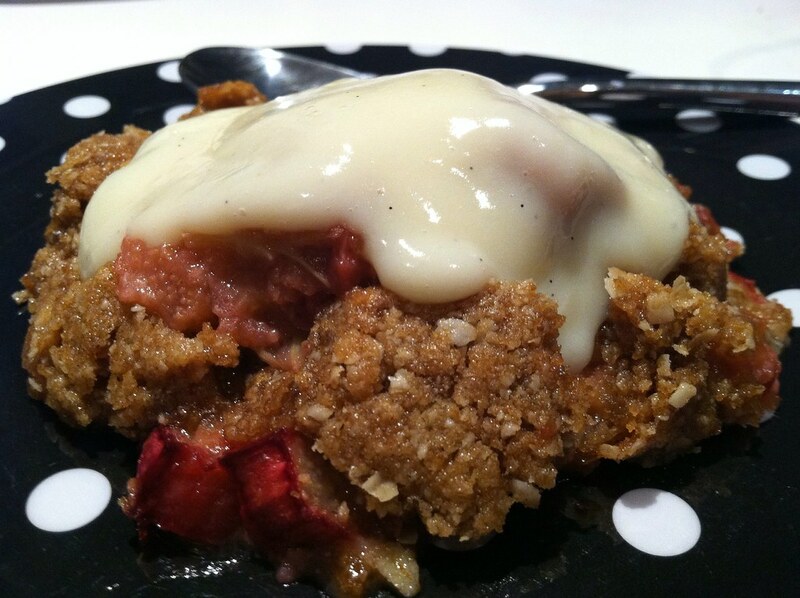 rhubarb crisp with vanilla bean pudding – ugly food tastes better. One of the things I am most enjoying about Ugly Food Tastes Better – Year Two, is going back and seeing what I did with the CSA stuff from last year. 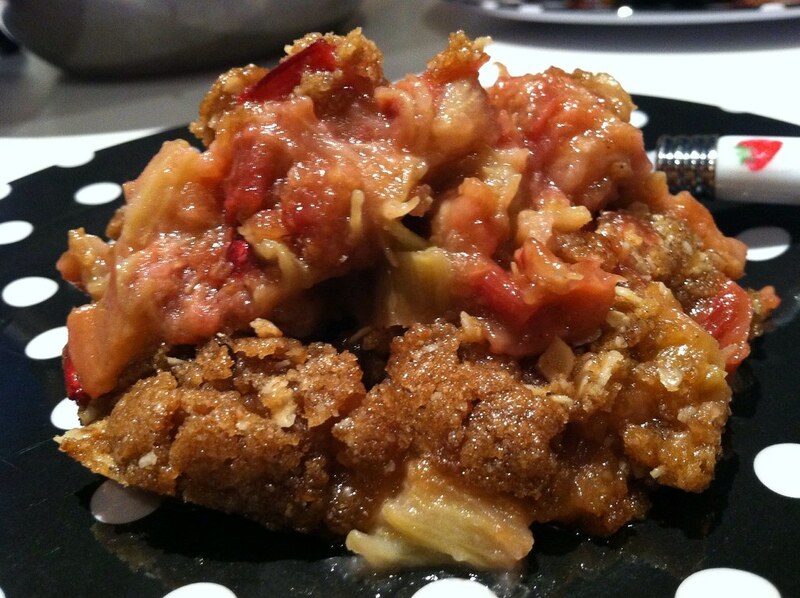 Before I started this site, I had never even HAD rhubarb before! And then I made rhubarb yogurt muffins, rhubarb french toast with rhubarb syrup, and my very favorite, rhubarb and vodka snow cones, and I was officially in love. Not only is it one of the most beautiful and unique ingredients I have ever seen or tasted, its so damn easy to work with! And you really can’t get an easier dessert than a crisp. A great way to use fruit because you can literally put whatever fruit you want in the bottom of a pyrex and then make it a little crumb topping. Being Southern, making this is kind of in my blood, and I don’t really follow a recipe. Its more a formula. I hate measuring fruit. I just want to use all the fruit and make a top to suit whatever amount I have. Being that I only had 2 stalks of rhubarb from the CSA, I knew I only had enough for 2 servings, so I grabbed the magic bullet and tossed in a handful of brown sugar (probably around 1/4 cup) and then slightly less flour, a shake or two of punkin pie spice, 1/4 cup of oats, and a third a stick of butter. Blend it up and crumble on top, Bake for 35 minutes at 375, and then set aside to cool! The top should be bubbly and crispy brown. I also happened to have a vanilla pudding mix I forgot I had and decided to make that while I waited for the crisp to cool. 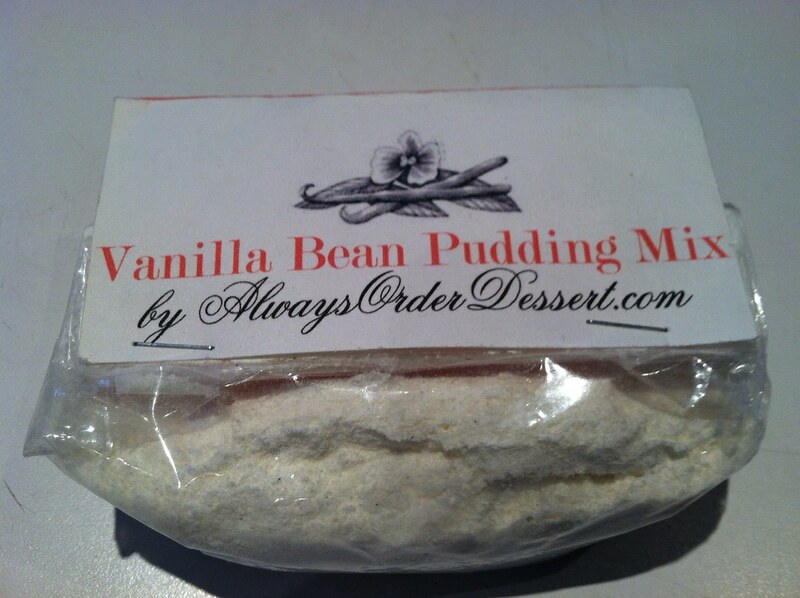 I also happened to have a vanilla pudding mix from Always Order Dessert that I forgot I had and decided to make that while I waited for the crisp to cool. It was a great idea, as it cut the tartness of the rhubarb in the crisp and was super pleasant, and made me realize that I haven’t had pudding in FOREVER and I have no idea why. So glad I have more to enjoy! Looks yummy! 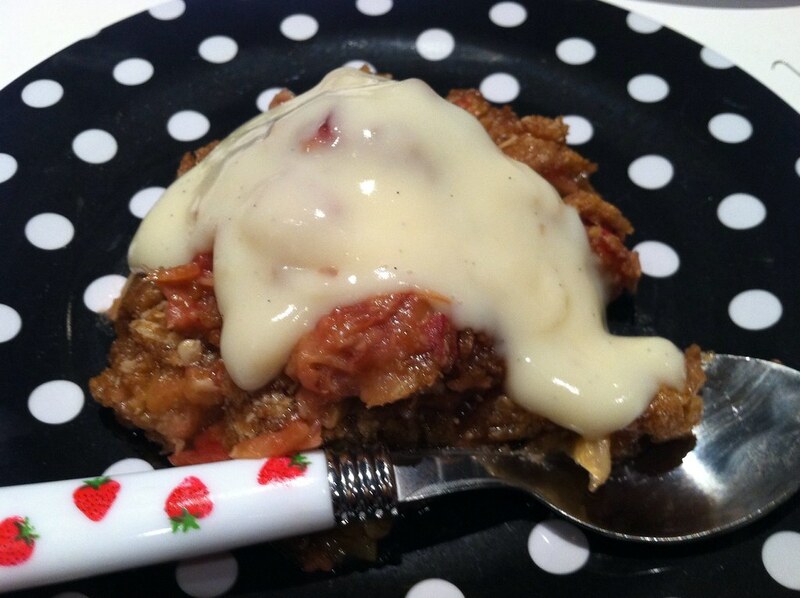 I had rhubarb for the first time last year as well and loved it. I have a few pounds in my fridge and freezer, maybe I’ll have to whip this up this weekend. Delicious looking! I love how you topped it with pudding and used the cutest spoon ever to eat it!